We Create Hardback Books Tailored To Honor Those In Your Life While They're Here To Hear You. We Also Convert Your Old Media Into New Media. We create bind hard cover books uniquely designed to highlight milestones and grow with the person or people you choose to honor while they're here. We are helping you open the lines of communications within the nucleus of our families, business, religious and social organizations. We offer services that convert 35mm/110 fims, VHS and Vintage Albums into CD or DVD's. We offer a variety of methods to organize your shoe box of photos. Angela has over thirty combined years in print media, business management, photography and law research. These past experiences have given her the knowledge needed to launch the SSRBooklet Company. 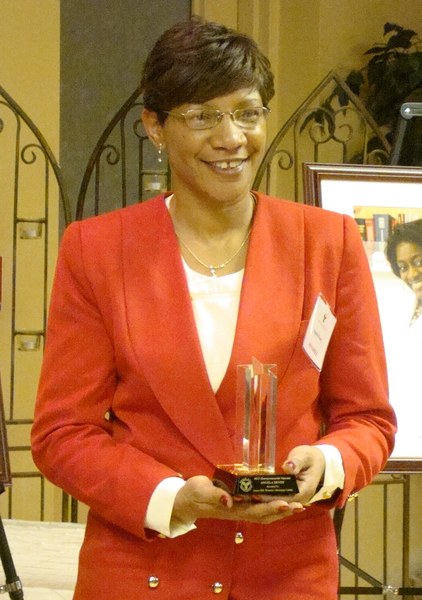 Angela was honored by Grace Hill Women's Business Center March 24, 2011. She received an Entrepreneurial Success Award, City of Saint Louis Resolution and was inducted into Grace Hill Wall of Fame. Barbara Smithers retired two years ago after 23 years of service with MasterCard Worldwide and has vast knowledge in owning and operating a small business. She offers her experience in all facets of Business Operations (focusing on the three fundamental management inperatives) It is this knowledge that she shares with SSRBooklet in relations to generating, increasing and securing the income and value of the business. Sharon Caldwell recently retired after 35 years of service with the St. Louis Public School System. Her assiduous methods of vetting computer equipment and software to be purchased and used by her school are what help SSRBooklet selection in the many software and equipment needed to make us competitive in our novelty publishing market. Sharon holds a Master of Education / Secondary Education Certification - Education Technology.